L-Tron recognizes the outstanding work and effort that our team puts forth every single day. 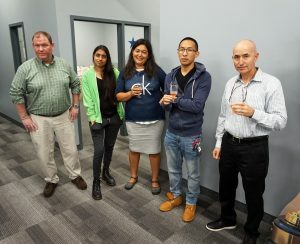 On Wednesday, September 26th, the L-Tron team came together to celebrate several employee anniversaries. 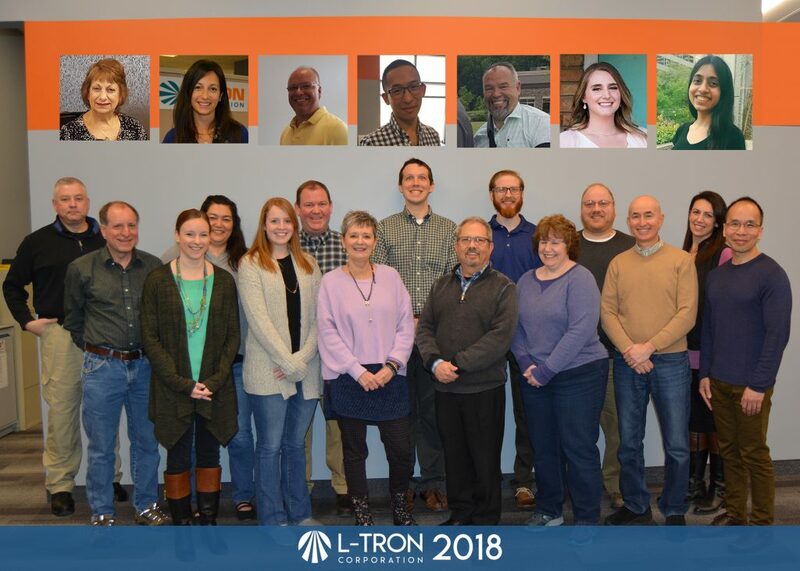 Given that most of our team members stay with the company long-term, L-Tron has made an effort to recognize the staff for their years of service. 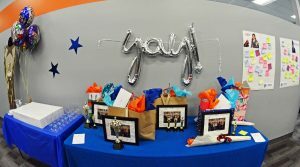 L-Tron honors employee anniversaries regularly. Each employee receives an annual “Oscar” in honor of L-Tron’s OSCR360 Solution. The team also celebrates with cake, champagne and pizza for lunch. Each honoree will receive a gift bag from L-Tron, a signed photo of the L-Tron team with notes from the staff, and a bottle of wine. This month, Jason and Charlie are celebrating tremendous milestone anniversaries and received special gifts from L-Tron. We are honored that these team members have stuck with L-Tron for more than a decade each. The employees celebrating anniversaries this month share over a whopping 35 years of experience. Always listening to our customer’s voice, and putting them first. Creating and maintaining a Women in Technology Linkedin Group. Moving to (and thriving in) our new space. Not peeing on the carpet (this one is for our 4-legged co-worker, Oscar). L-Tron began 43 years ago as a leader in barcode technologies. 17 years ago, the 4910LR Driver’s License Reader (then the 4710) was born. This scanner was created for eCitation and incident reporting, moving to provide for the needs of the Law Enforcement industry. Our dedicated technology support team includes retired Law Enforcement Officers – who can easily related to and serve our customers. L-Tron is proud of our strong and quirky team. We have a company culture that promotes individual leaders and complete transparency. We strive for excellence every day. Thank you to our team members who are celebrating anniversaries with us – your success is our passion. We would not be here without you. Check out some pictures from the celebration on our facebook page.